We've had the BEST luck with our thermos. And it legit works. Keeps the water cool forever! And we've had zero leak issues and it's lasted over a year (major win!). We have the Mickey version of that thermos. Works great! No spills. 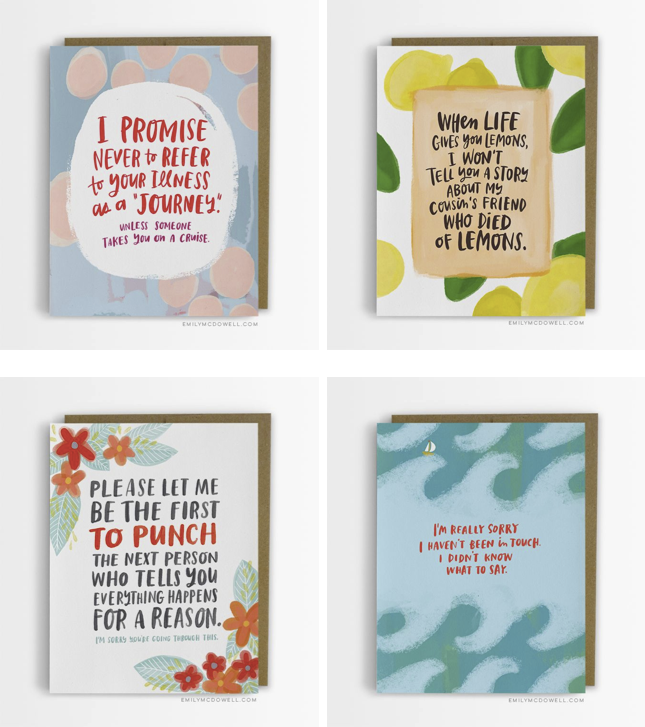 Thanks for sharing those cards, it's not easy picking out a "get well" or "thinking of you" card when none of them face reality..those are perfect! those cards are pretty much perfect and with summer coming up we just recently bought a thermos. I need something to stay cool while we hike or longer trips! I love those cards...i cannot tell you how annoying the "it happens for a reason..."
I love those cards too. They're perfect. The lemons one is right on point. So, the thermos is a long conversation for me. We got one and LOVED it. Bought two more. Loved them for about a year. Now if you take the straw piece all the way out to clean it and don't sit it in there just exactly right it'll leak. I carry it in my purse in a wet bag, just in case and it's all of the ones we have that do it. Also, they leak all the time if they tip over b/c there's an air flow hole thing in the straw. Reed always puts his cup flat so it's no biggie, but if your dog will knock it over it might not be a good option for you. Overall I do like them though and love how cold they keep the water. It's definitely our go to cup for the pool/park. i have the thermos straw cups for both girls -- well mainly just Ellie now. Clara uses tupperware cups w the lid or just a regular cup for milk. Hands down my fave cup. If its upside down it will leak. But Ellie loved clicking it closed and i like that it keeps the milk okay for a few hours if it doesn't get put back in the fridge right away. I havent used camelbak but have friends that do and haven't had complaints. 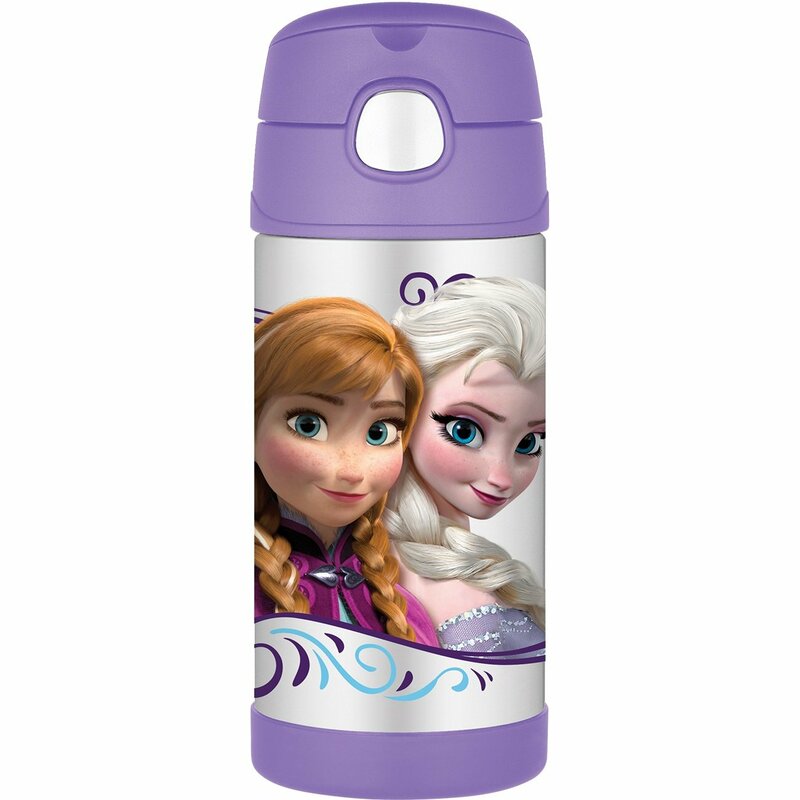 but for me -- thermos get the vote. Good to know, thanks for the tips!! Our Tommee Tippee sippies are like that, they are great, but if the pieces arent perfect, they'll leak. I know you love them :) I just want it mostly for school or when out. I really want her using cups/glasses at home since she can. I think I'll order it. I love those cards so much, saw them on FB but never actually clicked the article. 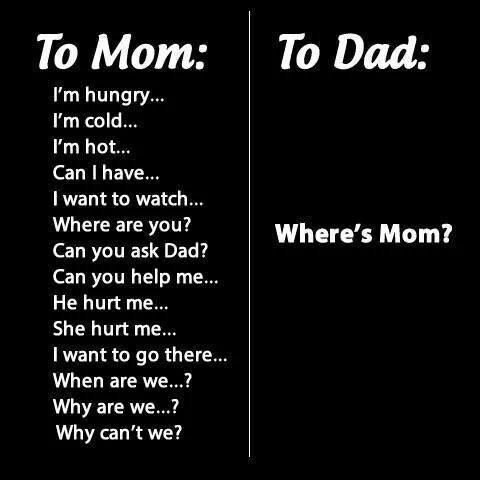 Also love the Mom v. Dad image at the bottom. So sorry to hear about your college friend. Cancer affects so many, have been thinking a lot about my friend who is a survivor lately.